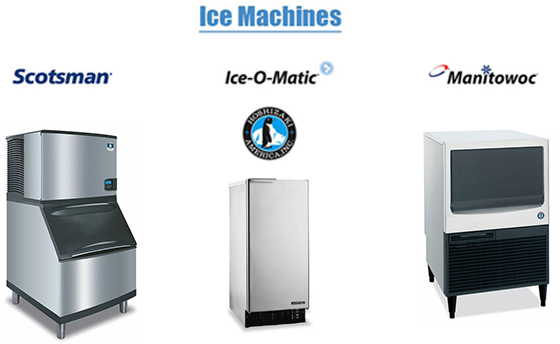 We are dedicated to sales, leases, maintaining and servicing of name brand ice makers for restaurants, hospitals, hotels, grocery stores, bars and much more. We offer the following brands to our customers: Cornelius, Follett, Hoshizaki, Ice-o-Matic, Manitowoc, Scotsman, and Vogt. Understanding the different types of ice cubes that commercial ice machines can produce will help you choose the right type for your needs. Cal Ice is proud to be one of San Diego’s leading commercial ice machine and refrigeration service companies. Our team of technicians has many years of experience and we are factory trained and certified in nearly every brand of ice machine so we can provide the excellent service you deserve! Our main interest is to provide a timely professional and excellence service to our customers, working with them to find the best solution for their commercial ice and refrigeration needs.